No matter who you are, your story is a part of something big--the fabric of history and the human experience. Once written and shared, your story will change someone. And that someone is most likely you. A Story that Matters offers an accessible and simplified way to get your stories written. 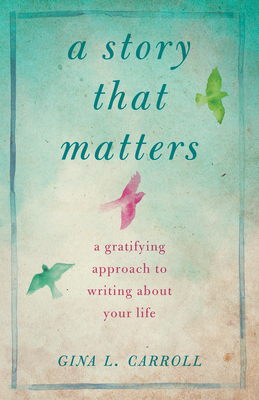 Each chapter is divided into three sections: the first discusses memoir writing in the context of themes--motherhood, childhood, relationships, professional life, and spiritual journey; the second provides basic writing and editing prescription, with a focus on common beginner mistakes and roadblocks; and the third provides a sample story related to the life theme discussed in the first section of the chapter. Chock full of writing and editing lessons that focus on how to get a first draft written and how to craft the draft into a compelling story, A Story That Matters explores our ability to help, heal, and connect to others through story, reminding us of the greater need for a broader array of authentic voices in the story-sharing universe.